St. Louis Fence Co. is the area's leading provider of both residential and commerical fencing solutions and repair. We have been in the business for decades and have been providing customer's with exceptional service and craftsmanship. Our results speak for themselves and customer satisfaction is our number one priority. When looking at fence companies St. Louis has to offer, choose one that does what they promise. Look no further than St. Louis Fence Co. It's no secert that a good looking fence can really add value and street appeal to your home or business. We all have that one neighbor with the dilapidated fence that makes the whole neighborhood look unnatractive. Don't be those people. Let St. Louis Fence Co. make your home or business the talk of the town. We take pride in our work and it shows in our completed projects. For fencing in St. Louis, there is no substitute. Whether your're looking for a basic chain link fence to keep the family pet from running away, or a decorative wooden fence to be the talk of the neighborhood, St. Louis Fence Co. has you covered. Our fencing solutions are both practical and visually appealing. We will find a fence that is perfect for you and we won't rest until you are 100% satisfied. There is no fence too small or big for us to handle. 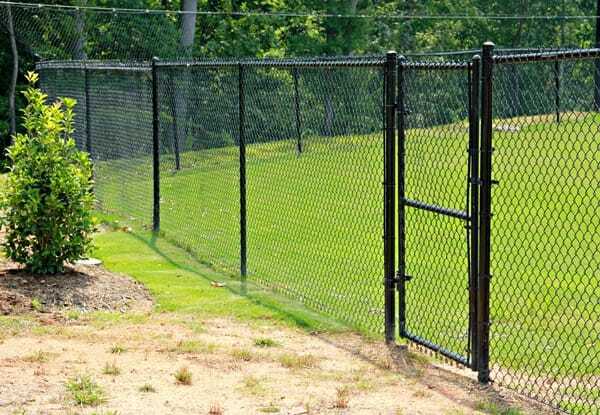 When searching for fence companies in St. Louis, look no further. We offer both residential and commercial fencing solutions. Call us today and let us know what type of property you have and we can begin the process. We will set up an appointment to come out to your property and then give you a fair estimate. We may not be the cheapest fencing company in St. Louis, but we feel that the quality of our work and product is well worth the cost. Have a question about the services we provide? Call us today and we will do our best to answer all of your questions. We have seen it all when it comes to fencing and we assure you we will find the answer you are looking for. We can also set up a free estimate. One of our technicians will come to your home or business, take measurements, and provide you with an honest estimate. We want you to be happy with your new fence and will work tirelessly until everything is just how you want it. There is no better choice when selecting a fence company in St. Louis. ,We also offer fence repair services. Got a hole in your fence? Well, that fence isn't doing you any good! Our technicians are experts in the fence repair business and if we cannot fix your fence, we will provide you with a fair estimate to replace your fence. We will not leave you stranded. Call us today to speak with one of our representatives who will gladly schedule an appointment to have your fence fixed. In most instances, we can have someone out to your home or business the very next day. We know you have many options when it comes to fence companies in St. Louis, but we are confident that you will be pleased with the quality of work and professionalism that you will receive when you call St. Louis Fence Co. We provide fence installations and repair in St. Louis County, St. Louis City, Chesterfield, West County Jefferson County, St. Charles, and the Metro East. Call us today to see if you are in our service area. 5 reasons why st. louis fence co. is the way to go! ​1. Our technicians are experienced and professional. We don't hire any old bum off the street with a hammer and nails. You can rest easy knowing that the people installing or repairing your fence are highly trained and experienced. We also run all of our employees through a rigorous background check so you will feel comfortable with our technicians being around your family members and employees. Our technicians are the face of our company and we trust that they will give us a good name. We guarantee it. 2. We are locally owned and operated. We are not some giant corporation that tries to take on as many jobs as possible so that our bottom lines look good to ownership. We work hand in hand with our customers to assure satisfaction. We have been in the St. Louis area for decades and know our customers and what they expect. 3. We provide an extremely wide variety of fencing options. We are more than just chain link and wood slats. We will find a fence that looks like it belongs on your property. Or let your imagination run wild and have us install a fence that looks like it belongs in Beverly Hills. The sky is the limit and we will hold your hand throughout the entire process so you can be confident in your choice of fencing. 4. We offer fence repair. Not all fencing companies provide this service. However, we feel that it would be a great disservice to you, our customer, to not make repairs to your existing fence. You can often save thousands by making repairs rather than installing an entire new fence. Lets be smart about this! We will gladly come to your home or business to evaluate the damage to your fence. 5. Our prices are extremely fair. Although you might be able to find someone to do the work for a lower price, our level of service and professionalism will not be matched. Our customers are our top priority and we will work to find an affordable solution for you and your fencing needs. When selecting a fence company in town, look no further than St. Louis Fence Co.